What are basic fundamentals of Java programming language ?. When dealing with whitespace generally syntax rules come into picture. Whitespace characters such as tabs, newlines and spaces in a program makes our code easier to read. Generally whitespace characters are ignored by the Java compiler. So even if we use large chunks of whitespace in our code compiler ignores them and thus byte code generated is small , having no impact on memory. Generally we should be careful enough to use whitespace because excessive use can make code unreadable. Styles has to deal with the formatting of the source codes. Generally we format a Java file so that it becomes easier to read. In order to format a Java file we need to look at style guidelines. Style guidelines are mainly standards followed by company, organization or individual. 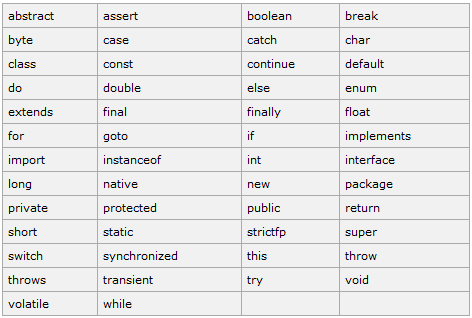 Generally when setting guidelines developers keep in mind formatting of code which is eaiser to read. These formatting is ignored by the compiler. Styles include use of indentation, spacing and newlines which formats source codes as per developers. Comments are used to format code and add notes so that any other programmer reading the code gets the idea behind the code. Comments are important elements of any programming language. Comments provide us a way to insert notes in a source code. They make us understand a complex code without going into much depth of the code. They make source code easier to debug. Also they are ignored by the compiler so we have no issues related to memory. There are mainly 2-3 types of Java comments Single line comment and multi-line comment. A single line comment as the name suggest comments out single line. It starts with a double forward slash //. In a Java program anything that we write after // slashes gets ignored by the compiler till the end of the line. You can also use multi-line comment which starts with /* and ends with */. Many developers use this type of comment when they have to comment out a block of code. This multi-line comment can go through many lines of code. An Identifier must begin with a unicode character, dollar sign or underscore. After the first character you can add numbers along with unicode characters, dollar sign and underscore. Generally use of currency symbols such as dollar sign should be avoided. Java identifiers should not be a reserved keyword of Java. Capital letters should be used to separate two words. Escape Sequences are generally used in Strings to give a particular character a escape. Let us see one by one in a tabular form.